Sometimes, we all need a little chocolate to see us through. And if that is you today (we hear you, mamas! ), we have rooted out just the recipe for it. 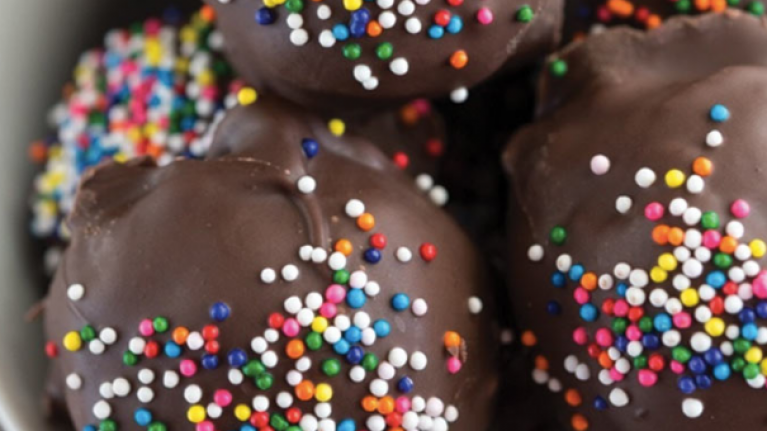 These Nutella truffles are not only ridiculously easy to make, but they also require no more than three little ingredients, making them the perfect treat to whip up anytime you need a little something chocolate-y to take the edge of things. If truffle mixture is too soft to roll, chill for 15 minutes. Otherwise, scoop 1 tablespoon balls of truffle dough onto a wax paper lined cookie sheet. Chill at least one hour.